Last night, the biggest movies of the past year were honored at The 2017 Oscars. From visual effects to acting, there are a plethora of categories that honorably recognize the entire movie making process. Naturally, we're a bit bias to the music categories. "Best Original Score" and "Best Original Song" are unequivocally our favorites. And while the biggest news of last night is centered on the "Best Picture" mishap, a cappella music was quietly being awesome and dropped an awards-worthy cover. 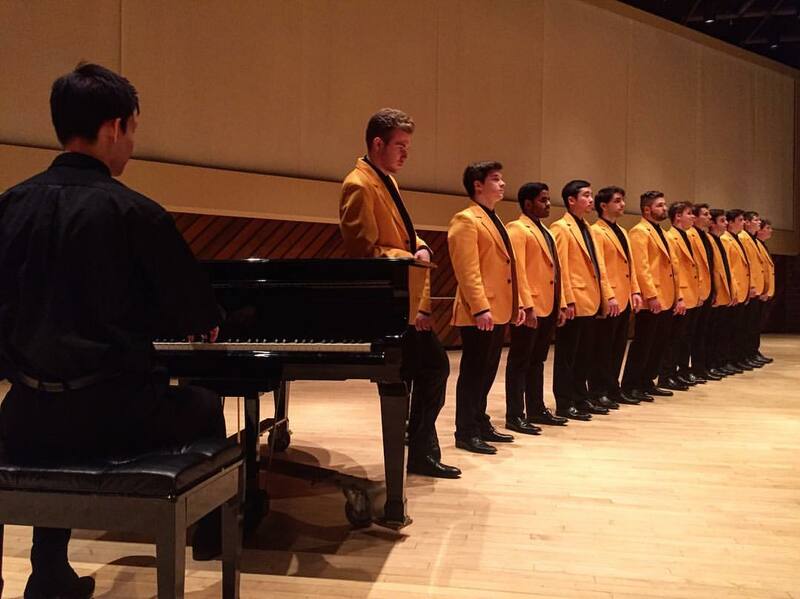 The men from the University of Rochester YellowJacket's released a fantastically, beautiful rendition of "City of Stars" from La La Land. Everything about the video is magical. The simple setting, the light tone of the vocals, the impressive lead, which all contribute to the wonder that was the mid-1900s. Even the short, like really short, entrance of the piano couldn't turn us away (I know - blasphemy). Be sure to end your 2017 Oscars' experience on a high note by giving the video a watch.